The opening shot in the battle to save Radley from being devastated by the ill-thought-out plan to build 710+ new homes in the parish, mostly in the next 5 years, was fired today with the delivery of over 500 letters of objection to the Vale of White Horse Planning Policy Cabinet Member, Mr Mike Murray. About 50 people, mainly from Radley, some from other parishes, gathered to oversee the event. 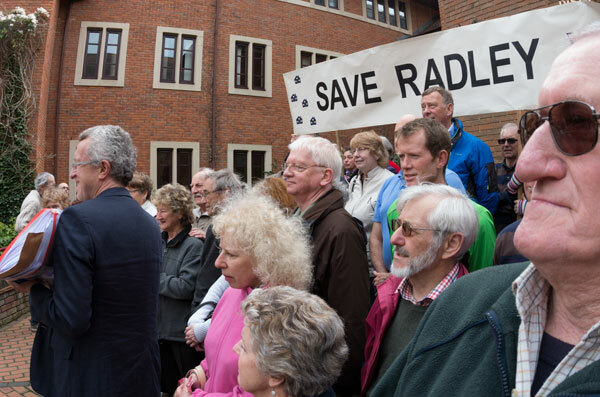 They were addressed by Radley Parish Councillor, Chris Henderson and by Graham Steinsberg, who seems to have emerged as the leader of the new Save Radley Village campaign. Save Radley…! Protestors outside Abbey House on 4th April 2014 delivering their objections to the Vale’s Housing Plans. Far left: Graham Steinsberg with the pile of objections. 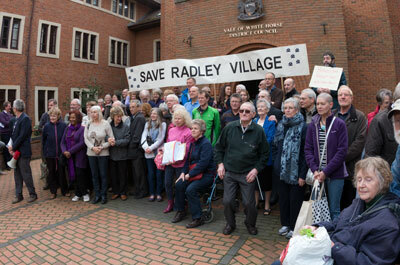 Save Radley Village! 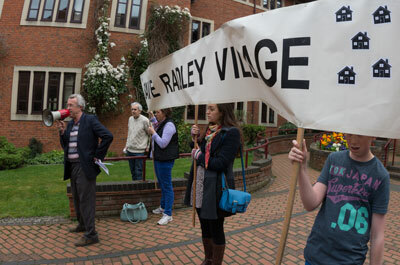 Protestors outside Abbey House on 4th April 2014 delivering their objections to the Vale’s Housing Plans. … the assembled throng outside Abbey House. Happy reading! 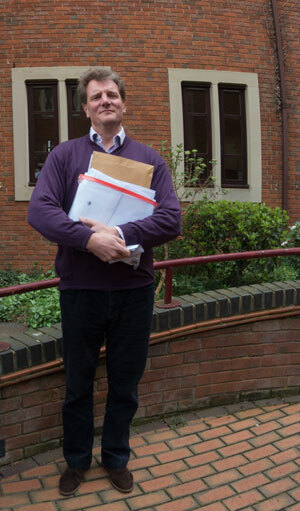 Cllr Mike Murray clutching the pile of objections to his craftily laid plans. 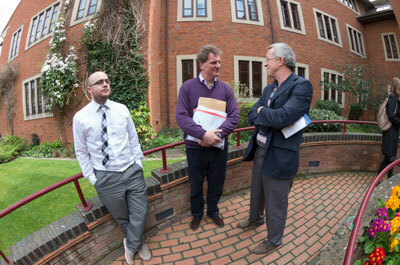 Cllr Mike Murray (+ minder) exchanging a few words with Graham Steinsberg after the event. Friendly faces. 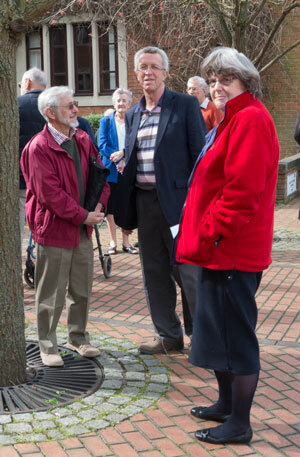 Radley Parish Councillor, Eric Davies, Graham Steinsberg and Radley’s vicar, the Rev Pam McKellen, outside Abbey House on 4th April 2014.